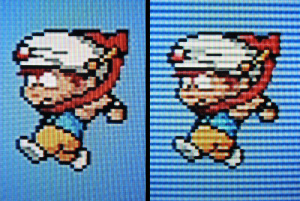 Not so long ago we reported on an awesome piece of tech which imbued your HD TV with the power to display authentic retro-style scanlines. The SLG3000 has since gone on to become a highly sought-after piece of kit in vintage gaming circles, so much so that Arcade Forge - the company behind the unit - have come up with a more streamlined version, dubbed the SLG SCART. Before we proceed, it’s probably best to explain the near-mystical appeal of scanlines to those of you too young to remember the days when TV sets were as deep as they were wide. Before the introduction of flat-panel LCD televisions, cathode ray tube goggle-boxes were dominant, and due to the way these sets produced an image, you’d get horizontal lines on the screen. Ironically, these lines - known as scanlines - add immeasurably to the appeal of retro visuals. They help to sharpen pixels and add clarity, and their absence is why a lot of old-school titles look so rough on modern LCD sets. Of course, there’s also a nostalgic element here too - because gamers from the ‘80s and ‘90s will have grown up with scanlines, they vividly remember the way games looked with them in place. The SLG3000 generates brilliant results, as you’ll no doubt recall from our review a while back. The problem is that you need other pieces of kit to get it to work effectively. Firstly there’s the VGA up-scaler, which takes the RGB signal from your console and converts it into a signal that the SLG3000 can work with. Hooking your console up to the scaler isn’t easy, either - a sync-stripper is required (Arcade Forge sell one called the Sync Strike). The SLG SCART removes the need for this mountain of kit, but there’s a catch - because it’s not up-scaling the image, the quality isn’t as good as it would be with the SLG3000 setup. 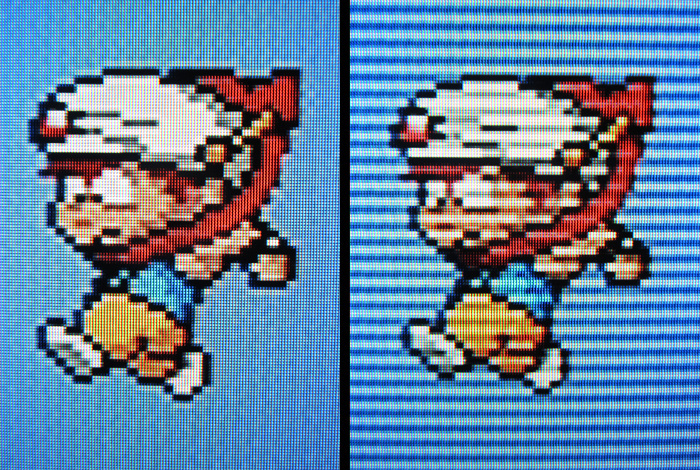 With the SLG SCART you’re essentially getting the totally untouched RGB SCART signal with scanlines applied, whereas with the other approach offers much sharper visuals as the graphics are being neatened up before they hit your TV screen. To be honest, having sampled both sets of equipment we think that the SLG SCART still offers a pretty attractive results, and if you don’t like the idea of having loads of tech lying around with wires everywhere, then it’s certainly the tidiest solution - and is cheaper, too. You can order the SLG SCART direct from Arcade Forge, which is based in Germany. The units start at 34 Euros (approx $44) but that price will rise if you add a plastic case and power supply. Personally speaking, we think the price is more than worth it if you’re a serious retro gamer. Anyone who has lived through the 16-bit era will tell you that scan-lines are an integral part of vintage gaming’s appeal, and being able to incorporate them so effortlessly into modern LCD TVs is a real bonus. Heh heh heh, good times. Too bad I'm not willing to spend 44 bucks on nostalgia. Whenever emulation tries to do Scanlines it's always overdone and looks like crap. This looks overdone too, nothing about it looks authentic. hmm interesting... I see the appeal and understand its nostalgia, but to me the images on the left look better. Probably have to see it to get a better idea. @1. We don't even have SCART in the US, do we? "Before the introduction of flat-panel LCD televisions, cathode ray tube goggle-boxes were dominant, and due to the way these sets produced an image, you’d get vertical lines on the screen." Is that Magical Flying Hat Turbo Adventure? Nice article! But that's a given, considering what site I'm on. Nice, but I will be moving back to the states soon and a SKART cable will be useless. I'm a retro gamer since 1982 or so and I've had all kinds of cathode ray monitors and TVs. And I can assure you: I would never even dream of spending money for hardware that degrades the image quality. Honestly, this is a dumb idea. I still wouldn't buy it even it they made a US version. I hooked my SNES up to my LCD TV set with an S-Video cable and the result is pixel-perfect squares in all their 240p glory. Believe me or not, it looked even sharper than Virtual Console progressive display on my Wii system. I don't care what verbiage people try to say, the NES and SNES are 240p systems. They just output at 480i. I recently went from playing on a CRT to a 19" HD television, and I've been playing DKC 2 and not really noticed the difference, other than the image being slightly stretched to fit the new wider screen. Oh well, I think I'm more of an audiophile - I can put up with fuzzy or stretched graphics but if the speakers are too tinny then I have a problem! I had to hook up PC speakers to my new TV cos the built in ones weren't cutting it! Very nice! 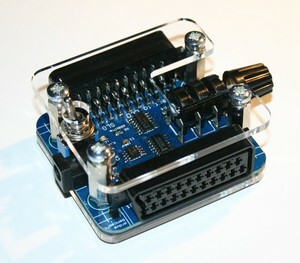 I already have an XRGB2+, but I just ordered one of these as it looks a lot more convenient. Also, it can be a hassle to set up an XRGB every single time when switching consoles. My Neo Geo always gives me a lot of problems especially. Got a SLG3000 version for my Dreamcast as well. Huh, nice equipment. I also would like to reintroduce the bowed-screen effect of a classic TV. Playing VC games on my flatscreen really is quite a terrible thing, looking nothing like the kind of display these games were created for. I'm thinking of just giving up and hooking the Wii up to a nice, tube-based TV in another room, although that means sacrificing its coveted place in the living room just in order to improve the image... hm, decisions to be made. @12 You sir, are a god, I have been having problems with my television speakers for weeks now and other than turn the tv down so the noise goes away, I hadn't thaught of a solution, external speakers though, brilliant, thankyou! I can live with not being a serious retro gamer then. Nice these things exist though. @Incognito_D (12. ): Welcome to the club. Ever since the day when i read about connecting the PS1 to your stereo system. The difference in RE2 blew me away. Yasha - noted, and duly amended. Thanks for the spot! For anyone who feels the images look worse with scanlines, you have to back away from the screen to see the difference as a whole. 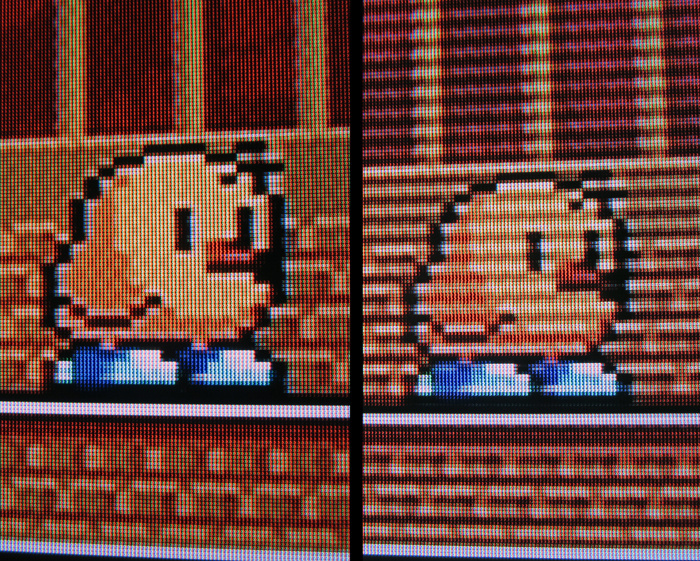 The pictures in the article are simply showing that the scanlines are applied. 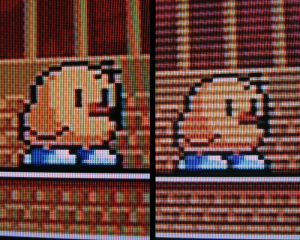 Older games were designed with scanlines in mind, so images do appear smoother on CRT televisions. The first time I played my SNES on an HDTV, even with the 4:3 aspect ratio, the difference in image quality was readily apparent. Cool idea though I would rather just play my NES and SNES on an energy-sucking CRT anyway. So what? My Genesis/32X is already hooked up to an actual CRT TV. CRT games never looked that bad though, the fake scanlines are always way over done.